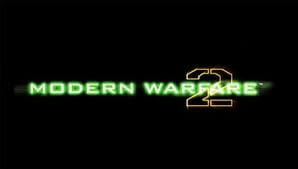 I just bought Modern Warfare 2 this morning. But, I feel initial disappointment about installing the game, which requires going through STEAM ! I find it very heavy as a process, especially when you have a very slow connection and the game, set installation over 13h, is only 15% of downloading STEAM!!! Do you have a solution to install this game without going through steam? Go into the Steam directory (for me C: \ Program Files \ Steam). Thanks to zefin for this tip. Published by aakai1056. Latest update on April 12, 2012 at 08:03 AM by aakai1056. This document, titled "Modern Warfare 2 and Steam issue," is available under the Creative Commons license. Any copy, reuse, or modification of the content should be sufficiently credited to CCM (https://ccm.net/).